Yeah, I know we posted our unboxing video some time ago, but with the busy holiday season and the OSVOSTOTY 2010 Awards, we got a little behind on posting this review! But it’s finally here. I know many of our readers were looking forward to the Opoona soundtrack as a nice Christmas gift from Basiscape Records, and it is indeed a treat to finally have soundtrack release at last. I think most fans already know what’s in store for them: some early Basiscape goodness covering a lot of quirky electronic music and upbeat themes. Maybe you played Opoona and loved it, maybe you hated it, and maybe you didn’t play it at all, but regardless of what can be said about the game, the music is fantastic, and you should read our review to find out why! To get the first order of business out of the way, I think most fans of this game (myself included) had believed that Hitoshi Sakimoto’s role on this soundtrack was minimal. Most believed he had worked mainly on the game’s battle themes, but as it turns out, there are a lot of cinematic cues on this soundtrack that you may not have remembered from the game or even the game soundtrack rips that you may have been listening to when you thought this game would never get a soundtrack release. I’m actually impressed with Sakimoto’s highly cinematic and even serious “Beginning” and “Departure.” These pieces and many others include bits and pieces of the memorable “Main Theme” (which itself does not appear until disc 2). The melody is comprised of a doubled up harp and chromatic bell tones, and captures the playful and naïve character of Opoona on his journey to find his siblings perfectly. I particularly love how it’s implemented into “Children of Tokione” (arranged by Mitsuhiro Kaneda) and “At Lifeborne,” the upbeat and futuristic accompaniments to exploring some of the game’s first cities, and “Valley of Wind” (arranged by Masaharu Iwata), where it appears from time to time during the player’s first journey into the wilderness outside of the dome cities. Later, his “Creola’s House,” arranged by Kamikura, is a lazy, slow-paced arrangement of the theme, and is simply beautiful with its use of acoustic guitar. There’s even a startling take on the theme in “Fairy Grove,” which distorts the theme, hinting at the danger ahead. In terms of a futuristic electronic sound that you’d expect from the game, the funky “Space Ship,” arranged by Kimihiro Abe, is one of my favorites. Electronic percussion and electronic tones dance around a live and highly reverberating violin, creating a contrast between old and new. “Shopping” by Manabu Namiki takes a similar approach, working in wonky electronic tones with scattered toy percussion to create an image of a kid in a candy store, while “Restaurant Regina” by Iwata is futuristic bossa nova track with a nice swing and all synthesized sounds. This soundtrack also provides some wonderful atmosphere. “Matia Mine,” one of the first dungeons, has some semblance of a melody, but the high level of reverb and louder percussion and bass sections push it to the background while you plunge on ahead. The sweeping pads in “Blue Desert” are king, and the electronic accents might have you thinking of Earthbound (which I was constantly reminded of when playing this game), which is a good thing. Iwata’s “Ruins in the Wilderness” is a chill fest with droning pads and smooth percussion, while Kamikura’s “Meditation” will put you to sleep with its serene pads and chimes, drifting seamlessly from one idea to another. “Concert Hall” is another highlight (I’m again surprised by just how much music they created for this game), working in orchestral elements along with sound effects from the wilderness and electronic percussion to create an abstract piece of art. “Central Sea” and “Old Forest” by Iwata go off in a melancholy new age direction, with both being quite lovely. It would be interesting to hear Iwata do an original album of this kind of material. There are foreboding moments found throughout the game’s dungeons (most of which appear on the third disc). “Spirit Lake” by Sakimoto stands out with its hair-raising synth sweeps and descending bell melodies, almost sounding like something out of a Metroid game, while his “Den of Darkness” is comprised mainly of filtered percussive sounds and nothing more (there’s even a telephone ring in there). 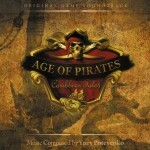 I have several “favorites” from this soundtrack. Aside from the previously mentioned “Children of Tokione,” I am completely in love with “Hotel Moon Forest,” “Blue Desert Hotel,” “Twilight Town,” “At Intelligent Sea,” “Great Dunes,” and “Partizans.” “Hotel Moon Forest” by Noriyuki Kamikura combines light electronic percussion and a highly synthesized bass with sweeping strings and a bell-like synth lead to create an absolute stunningly sweet melody, while “Blue Desert Hotel” by Iwata takes on a more ethnic sound with woodwinds and a backing piano that dances about effortlessly. Arriving at Intelligent Sea is an epic moment in itself, only highlighted by “At Intelligent Sea” with its sweeping pads and live piano work. Kamikura’s “Twilight Town” and Sakimoto’s “Partizans” (arranged by Kamikura) are both highly electronic, with the former acting as the accompaniment to a one of the early cities with a rich bassline and a stellar chorus section, and the latter being the “home base” theme, both defiant and energetic all at once. Finally, “Great Dunes” by Abe struck me with its mature sound. 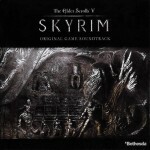 As players progress through the game, they travel further into the wilderness, and this track, with its melancholy guitar work and warbly ethnic woodwinds effectively tell the listener that they’re a far away from home. I don’t think I can get away without talking about the game’s battle themes. “Warriors of Tizia” is Sakimoto’s highly playful and energetic “normal” battle theme, using xylophone and a jumping tuba for the bassline for a playful sound, but quickly launching into his powerful militaristic orchestral style. It’s fun, and adds a comic element to the battles in the game (as if throwing a bon bon from your head wasn’t enough). 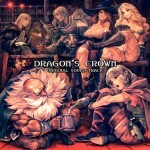 “Dark Rogue,” on the other, takes a distinctly more electronic approach with Iwata on arrangement, pumping the bass and percussion, but still working in elements of the main theme to lighten the mood. “Mind Control” by Kamikura is distinctly an electronic affair, sounding like something from a Parasite Eve game, while “Dark Force” is a downright drum ‘n’ bass track arranged by Kaneda. Sakimoto works in the xylophone bits from “Warriors to Tizia” to highlight just how far Opoona has come. Finally, “Babushca” is an unhindered Sakimoto orchestral piece, effectively drawing in all the epic glory of the final showdown. The only reward found at the end is Sakimoto’s “Good Luck,” a brief yet triumphant arrangement of the main theme. It’s a great arrangement, and an effective way to end the album on a positive and cohesive note. You’ve likely already seen the packaging in our unboxing video (if not, it’s fantastic), and you owe it to yourself to give Opoona second shot. 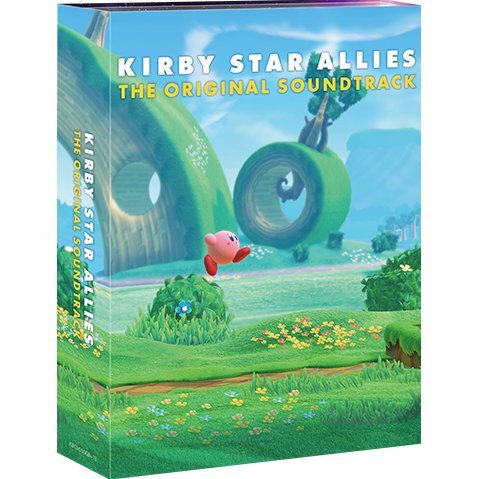 The reason this soundtrack wasn’t released sooner is because the game didn’t do as well as the team would have liked, so I think it’s important for us to at least make this soundtrack a success. If you’re a fan of Sakimoto, Basiscape, Opoona, or quirky and playful electronic music, you need to pick this up. 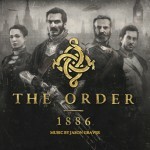 The orchestral accents provided by the Eminence Symphony Orchestra adds extra oomph to the music, and if the game hadn’t been released back in 2008, this would have been a serious contender for our soundtrack of the year. The album is available at CD Japan for 3,500 Yen, and is worth every penny. 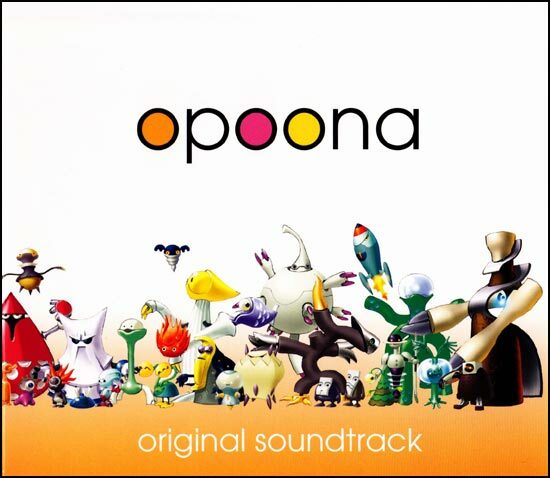 In any case, I’m curious about your thoughts regarding Opoona and its long-overdue soundtrack. What do you think of the team’s efforts, and would you like to see an Opoona Super Arrange Version in 2011? Hmm….Opoona Super Arrange Version would be awesome,lol! If you took the font cover from VGMdb, I’d suggest a replacement, since it has a problem on the left border.